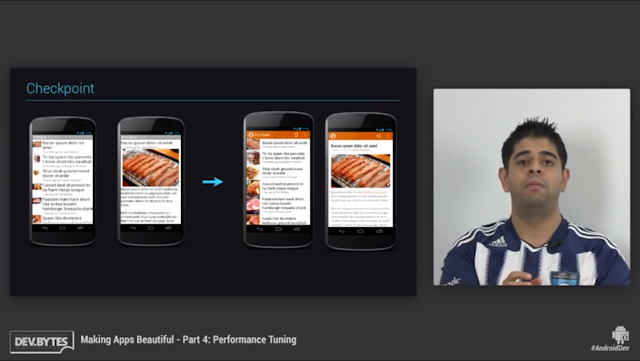 Ankur Kotwal from Google just released the fifth part of his DevBytes: Making Apps Beautiful series to the Android Developers YouTube channel. Each episode of the series introduces an important part of designing any Android app. 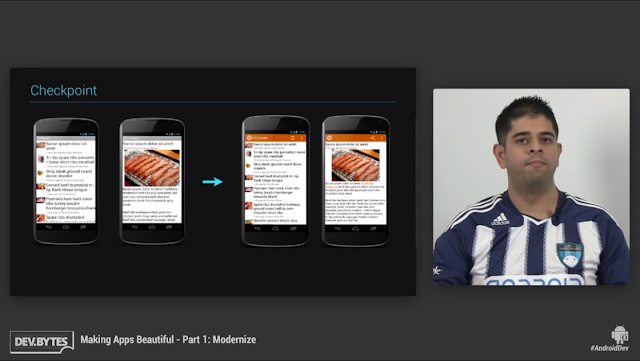 Ankur then goes through the design approach as well as explains how it is implemented in code. The series tells a story of developing one app from start to beginning. 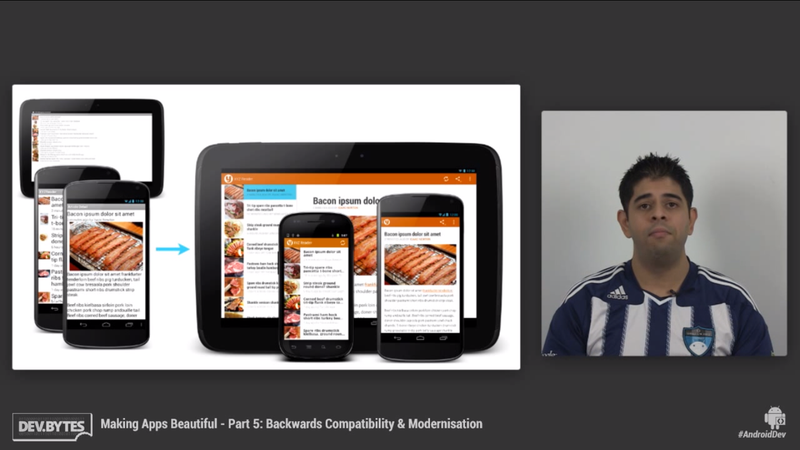 In the part 1 Ankur explains how to make your app look modern. If you have an app in the market that was developed for Android 2.3 or older this episode is a must watch for you. These few small things can make a big difference in how users see your app. The second part talks about spacing and typography using examples of list items as well as details screen. Using the guidance introduced in this video you'll get a good looking defaults to your app even if your designer hasn't yet specified everything for you. There was a time when releasing apps only designed for phones was acceptable. That isn't the case anymore. 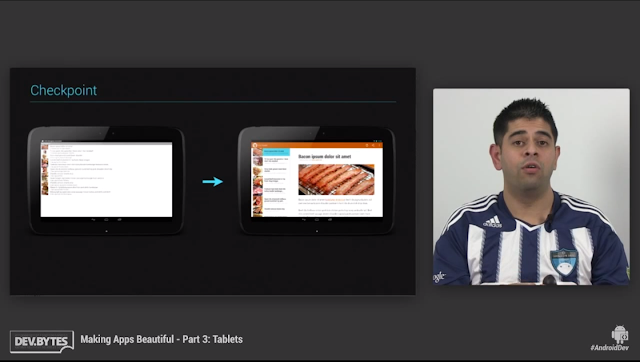 This episode explains how to create a responsive two pane layout (master/detail) in your app. While there's tons of other ways to support large screens as well this approach is something that works for many apps. This part explains some basic techniques devs should know about conserving device memory when handling images as well as explains how and why to avoid running heavy tasks in the UI thread. This episode talks about how to make the changes done to the app work on older devices. While I personally believe that we're already in the point that supporting only 4.0+ devices is OK for new there's still many apps that should support 2.3- as well. The second part of the episode also talks about modern design patterns view pager and navigation drawer.